I am a freelance writer currently reading Classical Literature and English at Leeds University. I hope you enjoy! Chino Latino's is an award winning pan-Asian restaurant situated in the Park Plaza Hotel, directly opposite Leeds rail station. 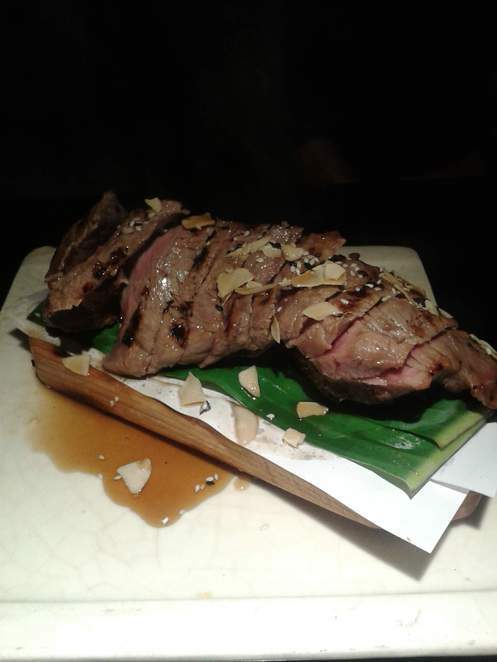 Chino Latino's is prized for its creation of traditional Asian cuisine with a modern twist. 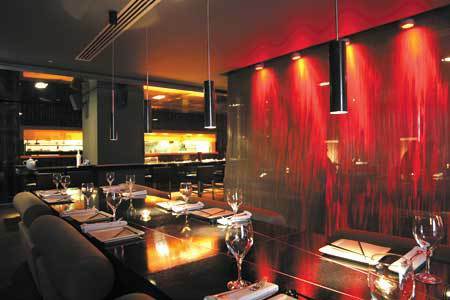 Their take on cuisine is reflected in their decor; a black backdrop creates drama, while accents of red give it a vibrant, sumptuous atmosphere. The room is divided by ornate screens creating an intimate atmosphere. The seating is a melange of circle, square, and oblong tables, all designed to compliment their innovative serving technique which advocates sharing. As a result, all food is served as soon as it is ready creating a seamless flow of new cuisine to taste. However, the real winner for Chino Latino is their menu. A vibrant mix of tasting platters and individual plates it is possible to create a table selection to die for. 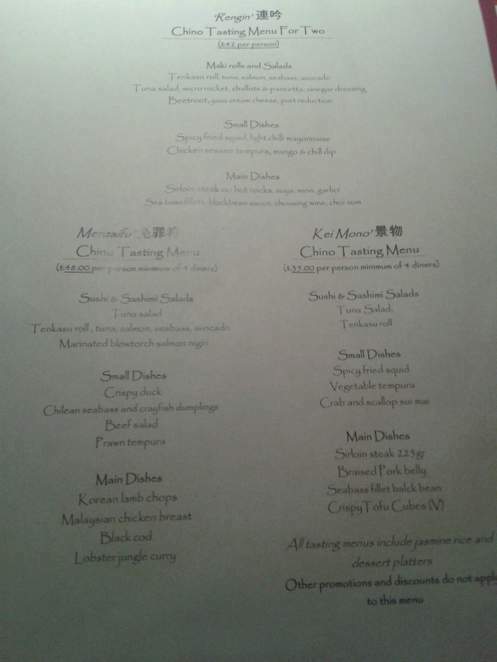 As a table we decided to mix individual plates, ordering more as we went along. 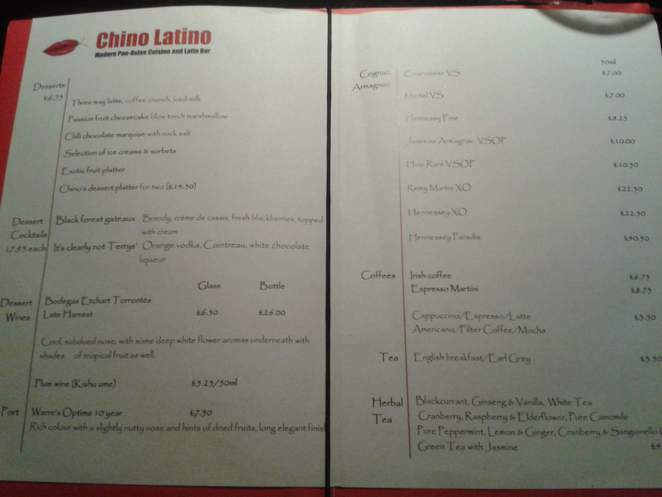 Chino's uses a different price range whether the dish is small or large, for the individual or for sharing, meaning that you can tailor your meal to your tables requirements while allowing the menu to fit around any budget. The smaller size costs around £6 while larger dishes range from £11-£20. My personal favourite was Chino Latino's braised pork belly with palm sugar and lime dressing. Succulent hunks of pork belly were complimented with a sprinkling of sesame seed, the tang of the lime dressing cutting through the rich palm sugar; truly delicious. 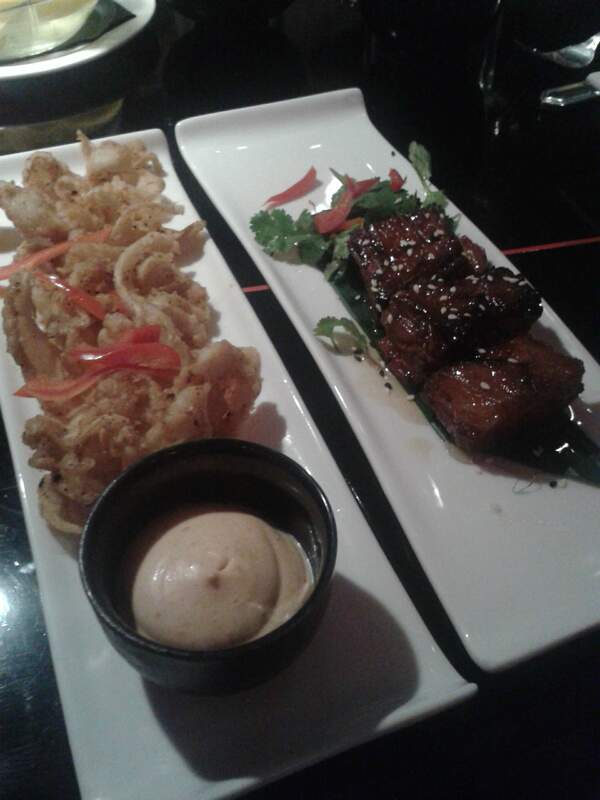 We accompanied the pork belly with a dish of spicy fried squid with a light chilli mayonnaise. The heat in this dish was perfect meaning that the flavour of the squid was at the fore. 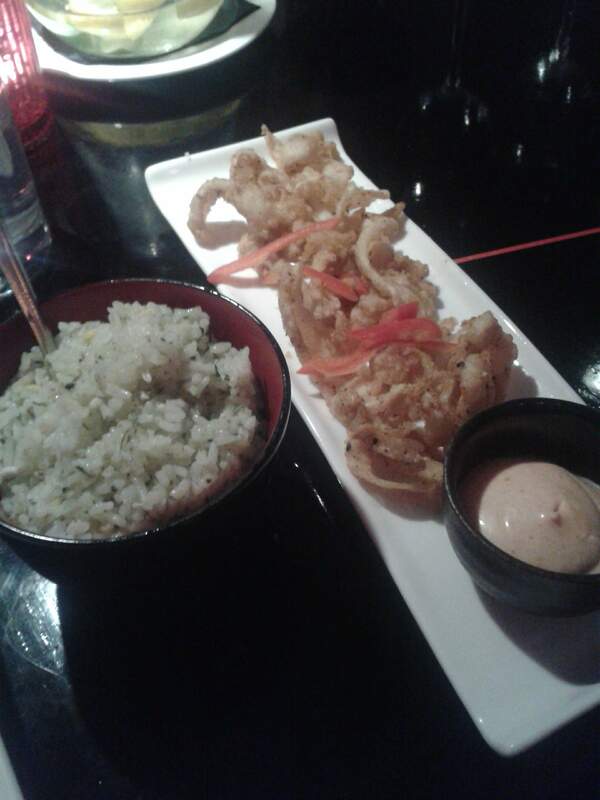 Similarly, the squid in particular was excellent value for money, the plate was piled high with crispy squid meaning that even for the smaller size there was plenty to share. However, my main source of jealousy was my friend's selection of dishes; a gigantic crispy half duck, and their award-winning decadent take on sirloin steak, lathered in soya, mirin and garlic which was cooked to perfection and was a spectacle upon service upon the hot sauce being poured over the steak and hot rocks. 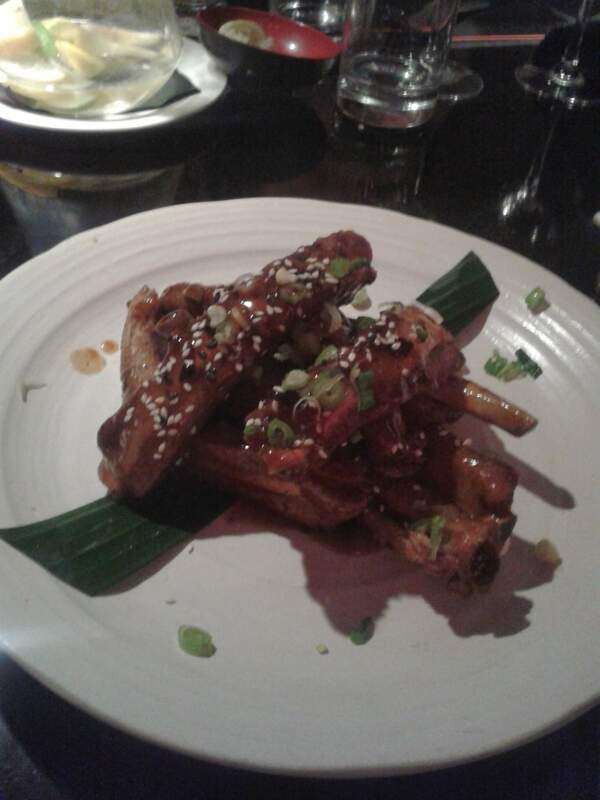 However, my main selection of pork ribs with a sticky black bean oyster sauce did not disappoint. While the individual ribs were lacking meat, the portion size was huge meaning that there was plenty as a dish itself, coupled with lashings of rich black bean and oyster sauce, the dish was scrumptious. Similarly, the side dishes, usually a formality of a meal, bought to satisfy an emptiness, a desire for carbs and a feeling of having eaten your '5 a day', were as equally sumptuous as the main event itself. We mixed coriander lime and egg fried rice, coconut rice, and steamed bok choi with shoaxing wine, cashew nuts and oyster sauce; the latter being my favourite. While the portions, in line with their sharing philosophy, are small the quality is superb. 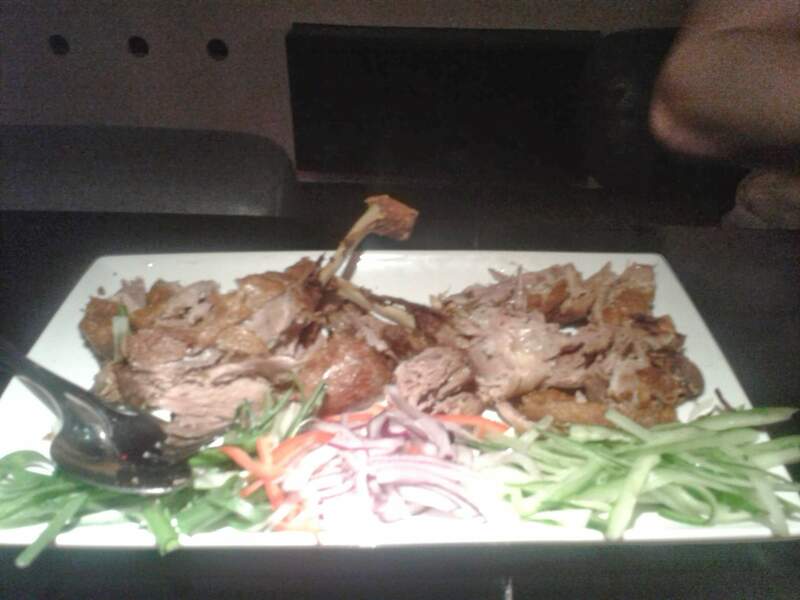 However, be warned, we made the mistake of waiting for dishes meaning that some of our food went cold, immerse yourself in the Chino Latino way of dining and eat as they arrive, expect to share everything. 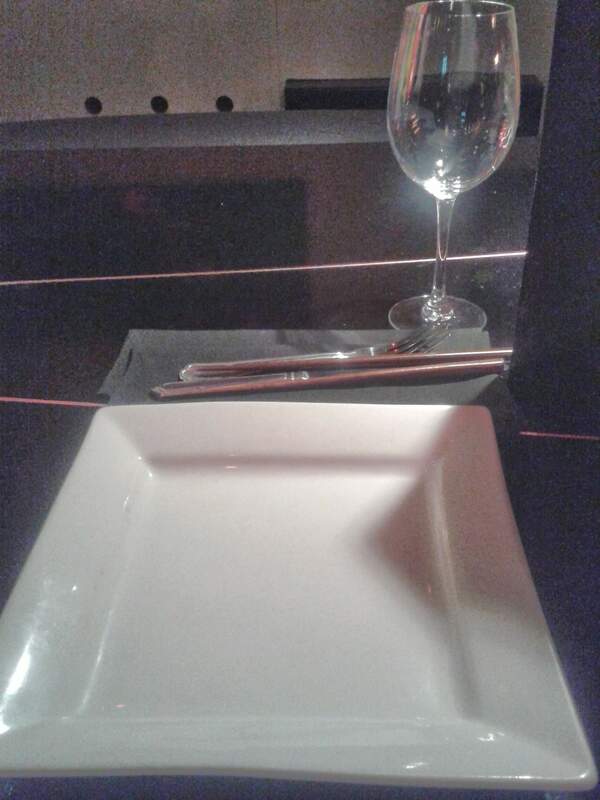 However, our meal, and our ultimate impression, of Chino Latino's was secured with the dessert. We bought a selection of ice creams, sorbets, and passion fruit cheesecake with blowtorch meringue. The latter offered a unique take on a classic leaving your mouth watering after every spoon. However, what clinched the deal was the waiter who served the ice creams, after promising 4 scoops and returning with Chino Latino's standard of 2 he immediately rectified his mistake and returned with 2 complimentary scoops. Chino Latino's attention to detail is second to none, the waiter's are constantly on hand to serve wine, deal with further food orders, essentially attending to any qualms that occurred; as you would expect, there were none. 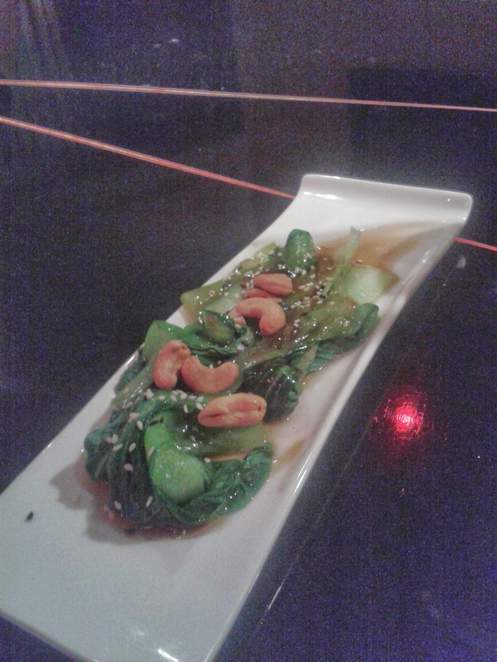 If you are looking for a restaurant that stretches the definition of Asian cuisine, while offering the quality to match then Chino Latino's is for you. 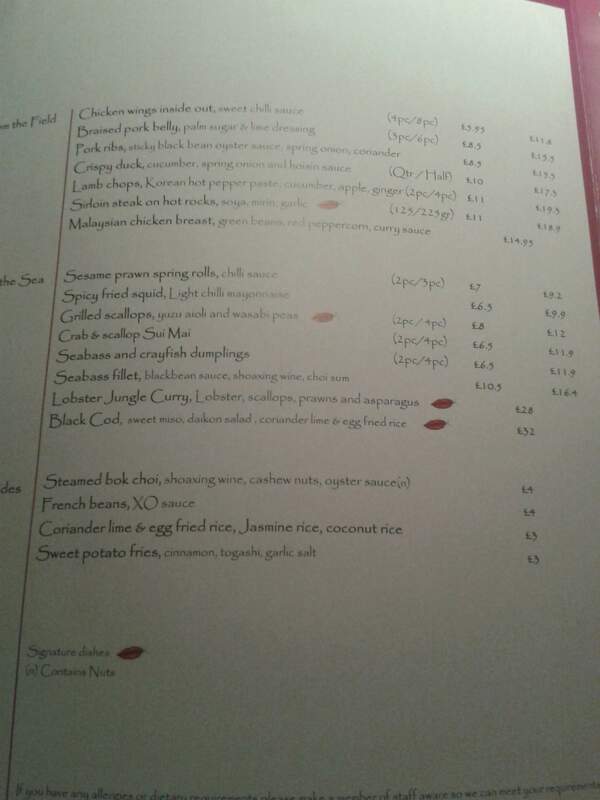 While we visited the Leeds restaurant, you can also visit Chino Latino in London,Nottingham and Cologne. Free parking is available to diners, however the hotel is within walking distance of Leeds Railway Station. 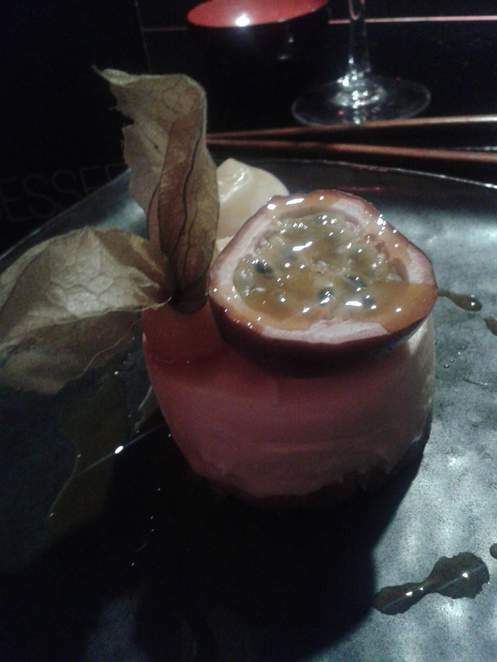 The Bok Choi and passionfruit cheesecake look good.